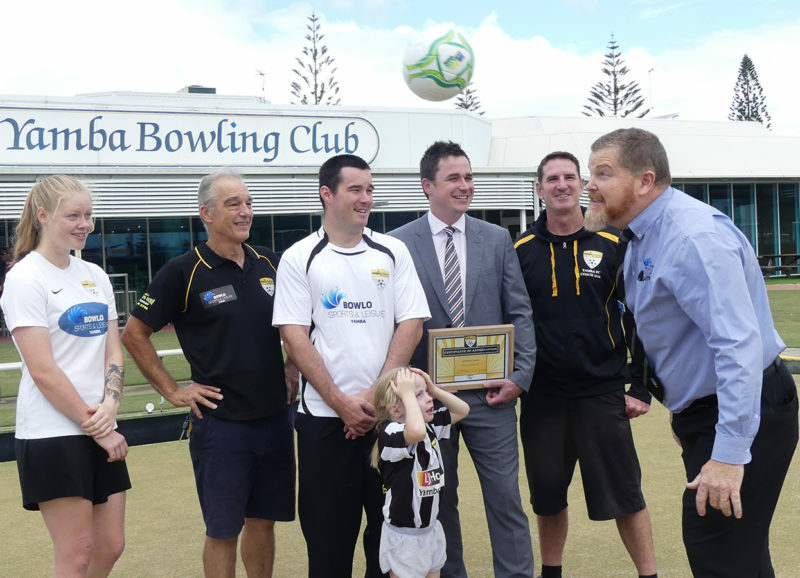 The Yamba Breakers Football Club is looking forward a stronger future following the announcement of a three-year sponsorship, courtesy of Bowlo Sports & Leisure Yamba. Breakers’ president Mark Skippings said the sponsorship would aid his club’s focus on making it “more family friendly”. “We’ll be making internal improvements to our clubhouse,” he said. “This is the fourth year we’ve had a women’s team; and we’ll be targeting women and juniors to grow the club. “We want to take the club forward and make it more professional (on and off the field) and raise the club’s profile in the wider community. “We have a good mix of junior and senior members on our committee. The bowling club’s CEO, Phil Boughton, said his club’s “social approach” was a key factor of the two clubs’ relationship. “We are a good fit with our focus on family entertainment,” he said. “We’re happy to provide financial support for the football club, which will administer the sponsorship.